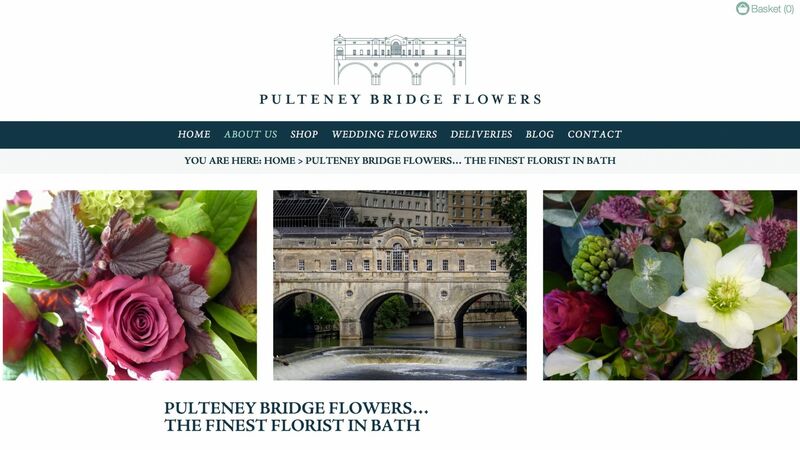 A stunning e-commerce website for Bath’s finest florist, Pulteney Bridge Flowers. The e-commerce integration is seamless, with Worldpay integration as standard. 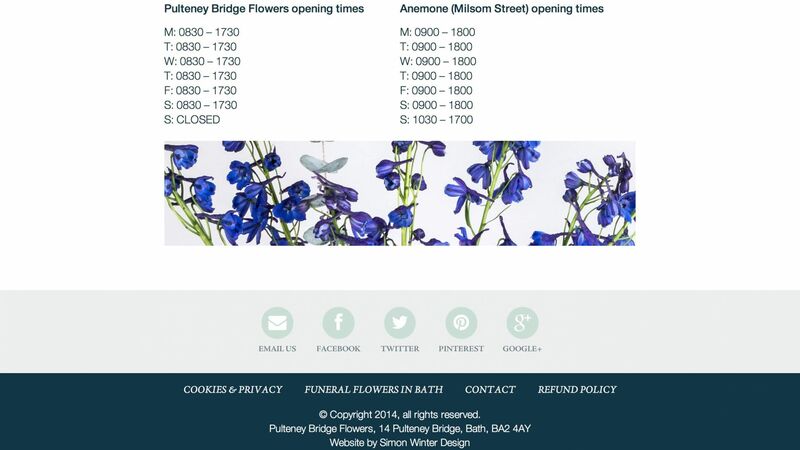 Pulteney Bridge Flowers are an Interflora member, and part of this membership includes an Interflora template based website. 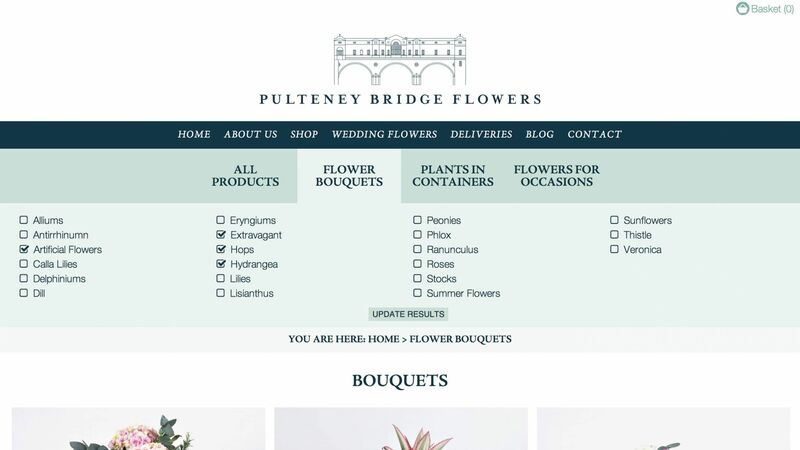 The client was unhappy with this website; is was dated and poorly designed, not to mention non-supportive of different sized screens. 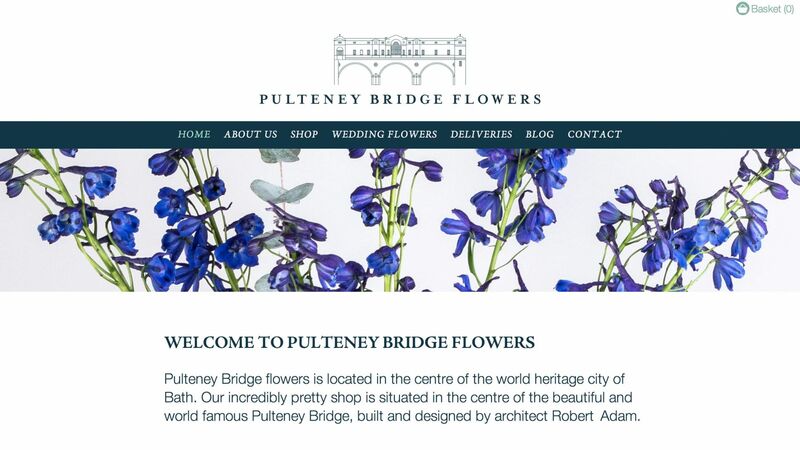 Pulteney Bridge Flowers decided to take matters into their own hands and come to me for a bespoke e-Commerce website, and that’s exactly what they received. 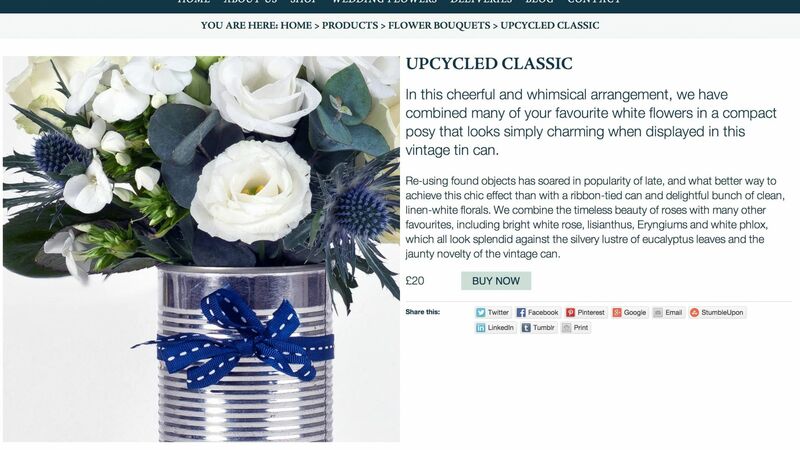 The site performs has been an absolute success for them. 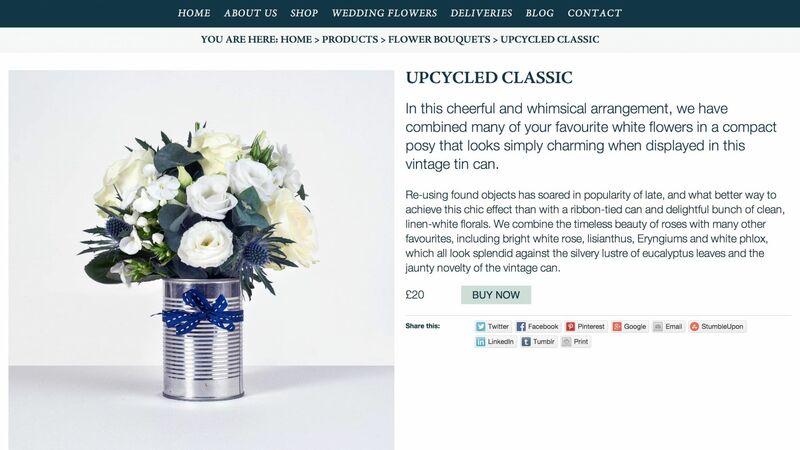 We included some really nice features such as a simple zoom feature for product images, allowing the viewer to get up close and personal with the bouquets on offer; we made a point of making the route to checkout as easy for the customer as possible, whether they are using an iPhone, Tablet or cinema display desktop. And thanks to Worldpay’s secure payment gateway the customer’s payment details remain safe without the client having to worry about storing them. 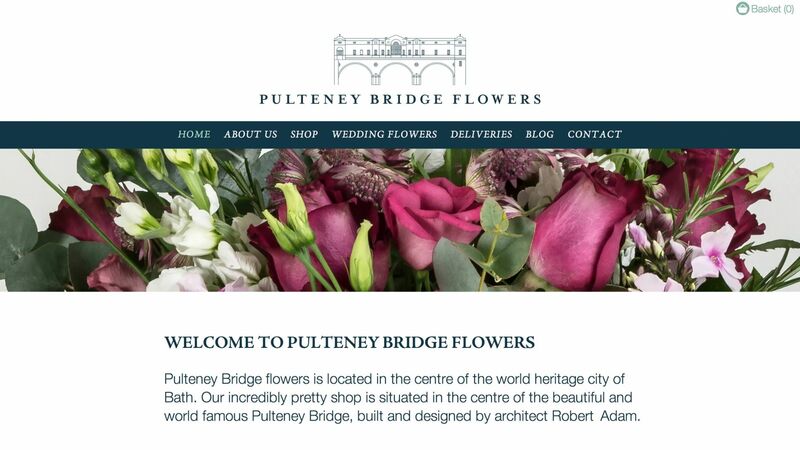 Pulteney Bridge Flowers also offer a dedicated wedding flower service, so we created a weddings gallery which pulls images in directly from Pinterest. 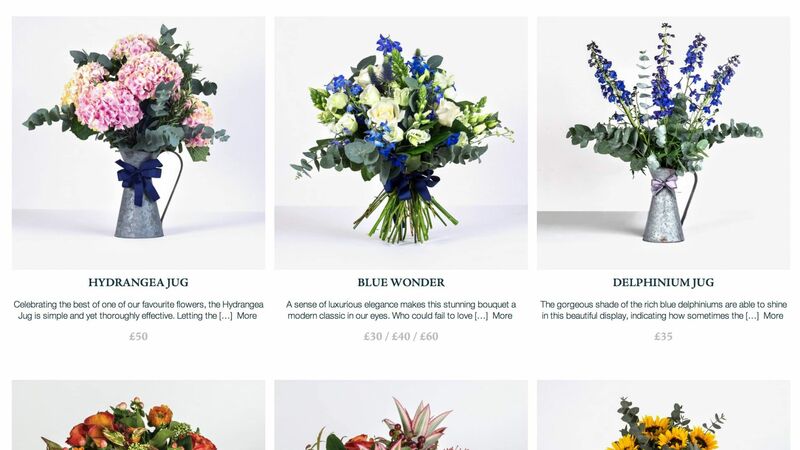 The site offers smart postcode recognition, automatically calculating the delivery cost for the customer based on the delivery post code. 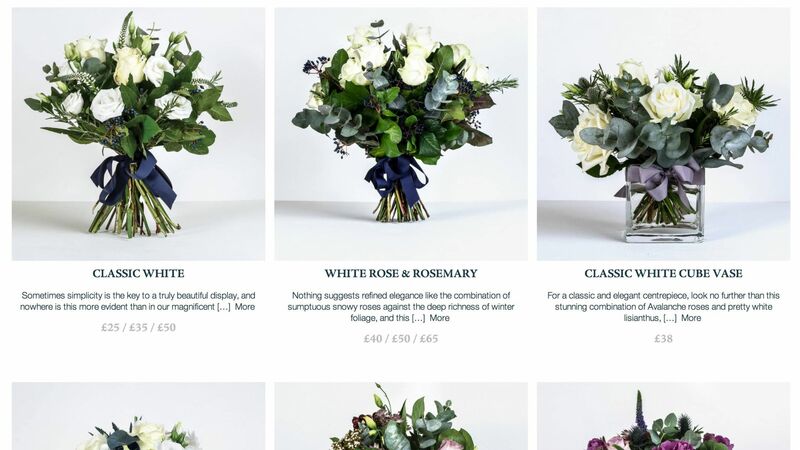 We even included an ‘extras’ product category for up-selling of additional products like Neal’s Yard Remedies gifts, scented candles, chocolates and so on.